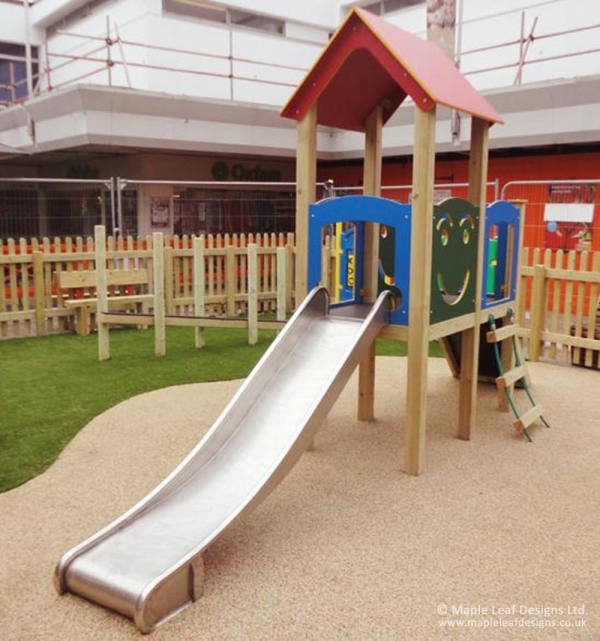 Our Standard Smile tower consists of one platform with a roof, one open platform, climb block ramp, rope ladder, timber steps and a stainless steel slide. The Smile Play Tower is designed to suit Reception, EYFS and KS1 but can be modified to suit other ages if required. Due to the fact that we manufacture in house all our towers can be changed to suit your own requirements by changing the play items, configurations and colours. Please contact us to discuss your needs and our range of play towers.